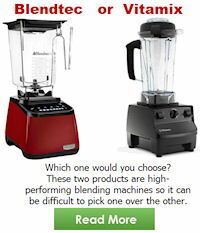 Blendtec vs Vitamix blending machines. Which blender should you choose? Both manufacturers produce high-performing blending machines so it can be difficult to pick one over the other. Many people, who made their choice, have fought the battle by digging deeper into the features of each unit. As consumers, now, more than ever, we want the best products for our home! If you’re in the market for the ultimate blender, these two blenders are the top two choices to pick from. 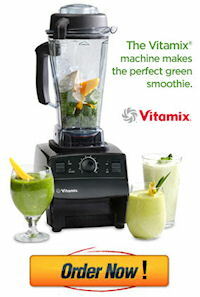 Here at Green Smoothie Blenders.com we know the “the nuts & bolts” behind producing Vita-mix or Blendtec blenders. This 2017 Consumer Buyer’s Guide will finally help you nail down the best blender for Your Culinary and Family needs. In a clash between Blendtec vs Vitamix the winner is always the one that offers the best features for the user. Here are some of the highlights of both blenders. Examine each of them so you’ll know which one can provide you the finest solutions for your mixing needs. 4 Ascent Series – New for 2017! The C-Series offers the largest selection of blender options. Giving you the most variety for matching your kitchen decor. Some of the most popular are: Click on images to find out more information. Each one provides remarkable power that can handle different ingredients you put inside the unit. To test how powerful it is, Blendtec’s expert tried putting an iPhone into the unit. Guess what? It did liquidize. All of Blendtec’s motors are equipped with horsepower above 3-peak, compared with Vitamix’s 2-peak horsepower. But the Vita-Mix New Generation models, such as their Creations Elite, 300 Professional series, 750 Professional series, and the 7500, come equipped with2.2-peak performance. Then again, users could not tell the difference when they made a smoothie using either of these two products. This is because both of them can produce a creamy uniformity. These two can also heat up soup through their spinning blades. Vita-Mix offers two styles of buttons. Most of their blenders come with a dial type toggle switch. This means that it’s easy for you to control the speed by simply twisting a dial; thereby, giving you a clear-cut control over how much speed must be applied to the ingredients to liquidize them. But their newer models such as the 780 vitamix and the Ascent Series have the touch pad interface, making your blending needs effortless! However, Blendtec also offers an advanced dial and switch touch-pad buttons on their blending machines. The company provides high-tech controls using illuminated touchpad or integrated buttons that come with presets controls. In this case, it’s up to you to decide which type of control you’d like to use during the blending process. 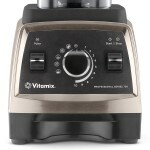 Vitamix offers both a touch-screen and toggle switch type of controls. 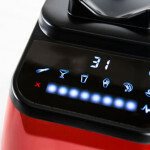 As for the Blendtec’s models, they all come with the LCD screen with push programmable buttons. But this is all just a matter of personal preference. Which Company Offers The Better Design Vitamix or Blendtec? Just like their controls, it still comes down to your personal preference. Each brand has a specific design to fulfill someone’s blending or mixing needs. Both products are large and bulky. They can go as high as 20 inches and as wide as 7.7 inches. They can also weigh up to 12.5 pounds with depth of up to 9.5 inches. Older models of Vita-mix, however, are too tall and won’t fit under a standard kitchen cabinet. But their latest models offer a redesigned base with shorter containers so you won’t have a problem storing them under your cabinets. Blendtec’s models, on the other hand, are designed to always fit under a typical kitchen cupboard, giving them a slight edge based on design. Still, you must consider the newer versions of Vita-mix if the older models don’t fit your taste. What Do These High-Powered Blenders Cost? Both products belong to a higher-price range for a blending machine. Vita-mix starts at $399.00 with the TurboBlend Two Speed and finishes off with the premier Professional Series 750 at $689.00. 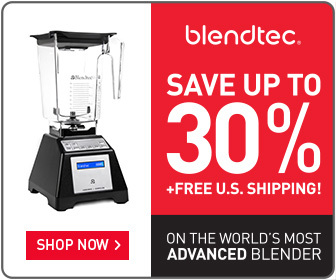 Blendtec’s blenders, on the other hand, start of at $319.95 beginning with the Classic 560 and going up to their 5 star model the Tom Dickson Extreme Blender for $1,034.95. If you want to save even more money both Vita-mix and Blendtec’s blenders have refurbished models so you can purchase them at a more affordable price. Blendtec or Vitamix -Who Has a Better Warranty? Both Companies vary with their warranty coverage. Blendtec’s blenders have an 8-year warranty on new models and 3-year warranty on certified refurbished models. While Vita-Mix offers a 7-year warranty on all their new models except for the TurboBlend Two Speed which is backed with a 5yr warranty, and their refurbished models come standard with a 5yr warranty. For those who want extra insurance, Vita-mix offers an extended 3yr warranty on both the new and reconditioned models at an extra cost of $75 but only during the initial checkout process. If you have purchased a blender direct from them, within the original 5-7yr warranty period, but didn’t opt for the extended 3yr warranty at the time of the original purchase, you may still be eligible for the added 3yr warranty. Although, it will cost an additional $120 at this time. Even better for the consumer, both companies offer a 30 day In-home-trial period. If you’re not totally satisfied within the 30 days with your blender just return it for a full refund. Vita-mix has a slight edge here because they offer free return shipping. Blendtec vs Vitamix – Which Blender should You Make a Spot For on Your Countertop? Choosing between these two products always boils down to your personal choice. As previously mentioned, each one has its own advantages and disadvantages. So, it’s all just a matter of what fits your requirements. Remember that both blenders offer exceptional value and performance so you can’t go wrong if you go with one or the other. Btw, check out some of these delicious desserts and smoothie recipes! Furthermore, each product has its own lineup of blenders and they all have their own pros and cons. 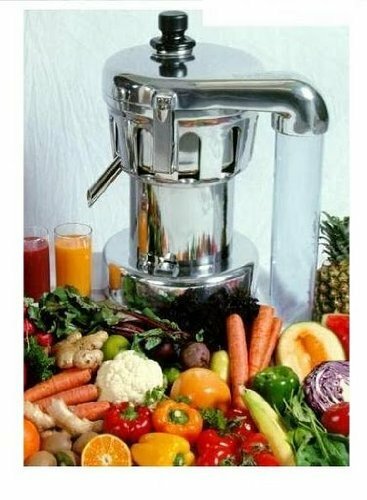 If you’re still in doubt as to which product to choose, you must remember that a blender’s main goal is to make mixing and liquidizing ingredients a lot easier. The product must be easy to clean and you won’t struggle when you use it to mix several items. Hence, it’s up to you which product suits you the best! Who Offers the Best Savings? 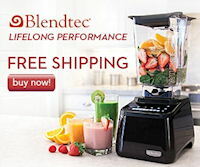 Every model, may it be Blendtec’s or Vitamix’s blending machines, if purchased through the Green Smoothie Blenders.com site, is Guaranteed the Lowest Price available online! Our secured links take you to the official site of both manufacturers, giving you the safest and hassle free experience, during checkout, on the internet.